Motorcycle Drivers Face Acute Dangers on the Road | Gainsberg Law P.C. Riding a motorcycle is a cherished activity and pastime enjoyed by thousands in the U.S. Motorcycle riders enjoy both the relaxation and thrill of the open-air experience it provides. At the same time, it can also be dangerous and even deadly if certain dangers on the road are encountered. In 2016, 5,286 motorcyclists were killed, an increase of 5.1 percent from the previous year. When measured in vehicle miles traveled in 2016, deaths among motorcyclists happened 28 times more often than the death of passenger car occupants in vehicle crashes. Driving home one evening from a shopping mall in Bloomingdale, Ramon Barajas, 84, turned left in front of Christina Jankowski, 30, who was enjoying a motorcycle ride that same evening. She collided with his vehicle and was instantly killed. However, Barajas was declared legally unfit to stand trial, and therefore not convicted of a crime. The presiding DuPage County Judge Jeffrey MacKay instead ordered Barajas to be monitored by the court while he resided in an assisted living facility. The attorneys of Barajas asserted that due to his cognitive issues he was not able to appreciate he had been in a crash. However, the judge ruled that despite these issues, Barajas most likely knew he had been in a serious accident. The judge made his determination based on a witness for the prosecution who said that Barajas, after the collision, slowed his car and stopped for roughly 20 seconds; that he also appeared to look at the scene behind him in his car mirrors, but left the scene after a police vehicle arrived. Road dangers. Cars and trucks may suffer wear and tear over time from running over potholes, debris, puddles, oil slicks, or uneven road surfaces. However, motorcycle riders who encounter these obstacles may suffer serious injury or even death if they lose control. Visual profile. Motorcycles are more difficult to see in the midst of many and varied obstructions that can block their view, including buildings, other vehicles, weather conditions, road signs, and more. As a result, they are more likely to be involved in a collision. Misaligned wheels. Motorcycles are susceptible to shaking and instability if the front and rear wheels are misaligned. This can lead to an accident and potential serious injuries or even death. Oncoming traffic. A motorcycle that is clipped ever so slightly by an oncoming vehicle can cause the rider to be thrown from the bike. This is a serious danger and something motorcycle riders must be aware of in order to protect themselves. Other drivers’ negligence. 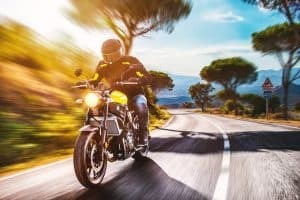 The negligence of the drivers of passenger vehicles, including sedans, SUVs, and trucks sharing the roadway with motorcycles pose one of the greatest dangers to motorcycle riders. Vehicles changing lanes. Drivers too often change lanes without taking a proper view of the space available to safely execute such a move. When there is insufficient space and a car crowds the space of a motorcycle or impacts a motorcycle while changing lanes, the motorcycle rider will often face the brunt of the consequences for such a mistake. Being rear-ended by cars. Drivers failing to pay attention to the road ahead, many times due to distracted driving behaviors, often leads to rear-end accidents. If a car hits the rear of another car, SUV, or truck and the impact is soft enough it may not cause any injuries. However, if the vehicle impacted is a motorcycle, the motorcyclist may suffer serious injury due to lack of physical protection from the impact. At Gainsberg Law, we understand the vulnerability motorcyclists face on the road every day. If you have been injured riding a motorcycle due to the negligence of another party, we can hold those responsible for your injuries liable and fight for the compensation you deserve. 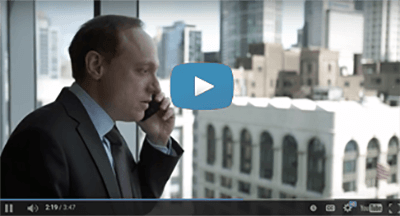 To set up free consultation about your case, call our Chicago law office today at 312.313.1621 or fill out our contact form.